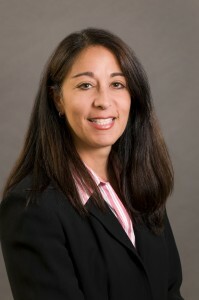 Anna M. Petronzio, co-founded Petronzio Schneier Co., LPA in 1993 after graduating from Catholic University of America (B.A. 1990), Suffolk University Law School (J.D. 1993) and John Carroll University (M.A. 1999). Anna is a member of the Cleveland Metropolitan Bar, the Geauga County Bar, the Justinian Form and she practices in Cuyahoga, Geauga and Lake counties. Anna is a member of the International Academy of Collaborative Professionals (IACP) and a founding member of the Cleveland Academy of Collaborative Professionals (CACP). Anna handles traditional litigation where she provides legal advice and represents the position of her clients in negotiations and court hearings. Traditional litigation may be as simple as negotiating a settlement for a friendly dissolution to litigating and negotiating for a messy divorce. Many times parties have issues with child custody, child support, and spousal support after their divorce or dissolution or are dissatisfied with the court outcome. Anna counsels clients on these post decree issues and seeks modification of the terms of the post-judgment orders. Anna is a certified family law mediator who successfully has acted as a neutral third party and has assisted divorcing parties to reach agreements that have met the needs of both parties without the financial and emotional costs associated with protracted legal proceedings. In the collaborative process, Anna and another collaborative trained attorney work together in an out-of-court, creative problem solving process. This is a non-adversarial process where the parties fully disclose all relevant information and act in good faith in all settlement negotiations. The parties all communicative with one another in a structured process allowing for innovative solutions to the parties’ problems. This flexible approach attempts to empower the parties to reach their own agreement, without involvement of the Court.